A radio vet whose career started in 1984 with a show at KPFK FM titled “Talking Book” for children, Isidra started in 1986 at KACE, where she was news and public affairs director. She has interviewed a wide range of notables. The highlight of her career was that she happened to be on the air to broadcast live the release of Nelson Mandela shortly after 6 a.m. during her show, Sunday Morning Live. 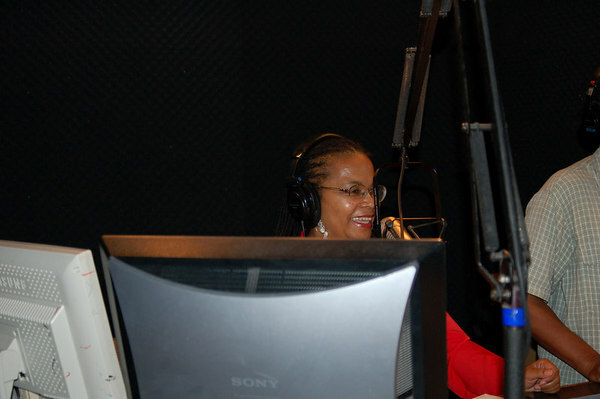 In the early 2000’s, Isidra served as vacation fill-in for Jacquie Stephens at KJLH and hosted numerous newscasts, shows, community forums and political debates.